At the Mental Health America of Greater Dallas Adolescent Symposium, I gained training in Dialectical Behavior Therapy (DBT). DBT is a specialized type of Cognitive Behavior Therapy (CBT, which I normally practice) that specializes in treating suicidality, anxiety, and Borderline Personality Disorder. A foundational facet of DBT is working in our “Wise Mind”. 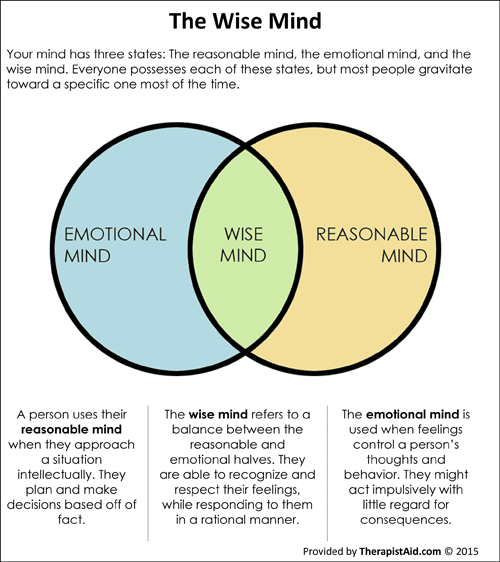 The Wise Mind is the intersection of the emotional and rational mind. The rational mind is driven by logic, research, and facts. The emotional mind is driven by reaction, feelings, and can be impulsive in nature. The Wise Mind is the collaboration of the two. A place where thoughts and behaviors are balanced with a rational approach while respecting emotions. This middle ground approach promotes healthy thinking, and decreases anxiety and depression. On March 18th, I will be starting a 6 week class series for adolescents on how to embrace this healthy way of thinking, and limit anxiety/depressive thinking patterns. I hope you will pass this information along to any family that you think would benefit from it. 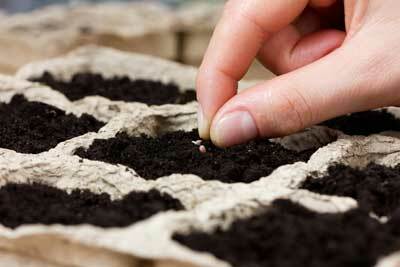 I am excited to plant the upcoming generation with seeds of healthy thinking and watch them bloom.